What is the cheapest way to get from Oranmore to Limerick? The cheapest way to get from Oranmore to Limerick is to drive which costs 10€ - 15€ and takes 57m. What is the fastest way to get from Oranmore to Limerick? The quickest way to get from Oranmore to Limerick is to taxi which costs 110€ - 130€ and takes 57m. Is there a direct bus between Oranmore and Limerick? Yes, there is a direct bus departing from Oranmore, Oranmore Station Road station and arriving at Glentworth, Limerick Bus Station station. Services depart hourly, and operate every day. The journey takes approximately 2h 5m. Is there a direct train between Oranmore and Limerick? Yes, there is a direct train departing from Oranmore Train Station station and arriving at Limerick. Services depart four times a day, and operate every day. The journey takes approximately 1h 46m. How far is it from Oranmore to Limerick? The distance between Oranmore and Limerick is 70 km. The road distance is 87.7 km. How do I travel from Oranmore to Limerick without a car? The best way to get from Oranmore to Limerick without a car is to train which takes 1h 46m and costs 20€ - 29€. How long does it take to get from Oranmore to Limerick? 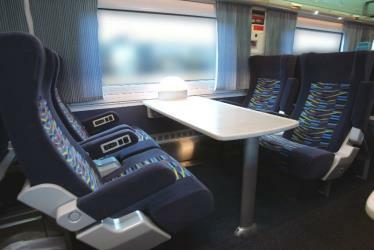 The train from Oranmore Train Station to Limerick takes 1h 46m including transfers and departs four times a day. Where do I catch the Oranmore to Limerick bus from? Oranmore to Limerick bus services, operated by Bus Eireann, arrive at Oranmore, Oranmore Station Road. Where do I catch the Oranmore to Limerick train from? Oranmore to Limerick train services, operated by Irish Rail, arrive at Oranmore Train Station. 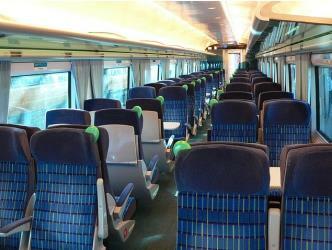 Train or bus from Oranmore to Limerick? The best way to get from Oranmore to Limerick is to train which takes 1h 46m and costs 20€ - 29€. 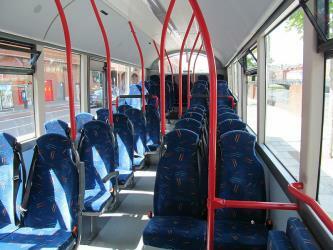 Alternatively, you can bus, which costs 18€ - 22€ and takes 2h 5m. What companies run services between Oranmore, Ireland and Limerick, Ireland? 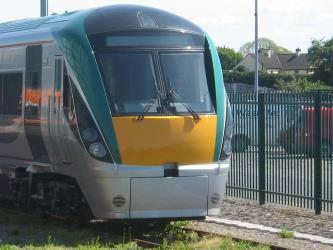 Irish Rail operates a train from Oranmore to Limerick 4 times a day. Tickets cost 20€ - 29€ and the journey takes 1h 46m. 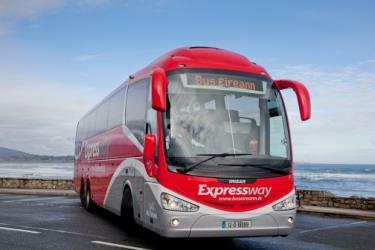 Alternatively, Bus Eireann operates a bus from Oranmore to Limerick hourly. 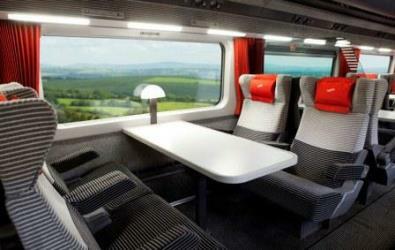 Tickets cost 18€ - 22€ and the journey takes 2h 5m. Rome2rio's Travel Guide series provide vital information for the global traveller. Read our range of informative guides on popular transport routes and companies - including How to get from Southend Airport into central London, Train travel in Spain: A guide to Renfe and 10 amazing places to get away from it all in Australia - to help you get the most out of your next trip. Where does the Oranmore to Limerick bus arrive? 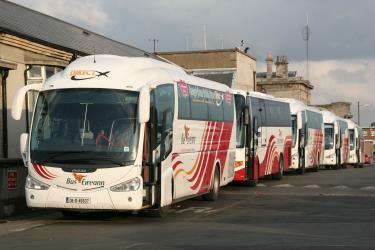 Oranmore to Limerick bus services, operated by Bus Eireann, arrive at Glentworth, Limerick Bus Station. Where does the Oranmore to Limerick train arrive? 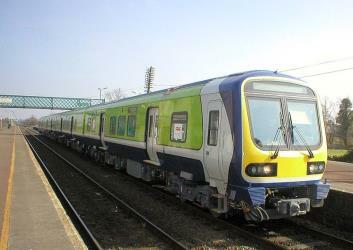 Oranmore to Limerick train services, operated by Irish Rail, arrive at Limerick station. Can I drive from Oranmore to Limerick? Yes, the driving distance between Oranmore to Limerick is 88 km. It takes approximately 57m to drive from Oranmore to Limerick. Where can I stay near Limerick? There are 144+ hotels available in Limerick. Prices start at 65€ per night. The University of Limerick (UL) (Irish: Ollscoil Luimnigh) is a university in Limerick, Ireland. Founded in 1972 as the National Institute for Higher Education, Limerick, it became a university in 1989 in accordance with the University of Limerick Act 1989. It was the first university established since Irish independence in 1922, and was followed by the establishment of Dublin City University later the same day in 1989. The Hunt Museum (Irish: Iarsmalann Hunt) is a museum in the city of Limerick, Ireland. The Hunt Museum holds a personal collection donated by the Hunt family, it was originally situated in the University of Limerick, before being moved to its present location in the Georgian Custom House in 1997. The Custom House is situated on Rutland Street on the banks of the River Shannon at its confluence with the Abbey River. Among the museums collection are works by notable artists and designers such as Pablo Picasso, Jack B. Yeats, and Sybil Connolly as well as distinctive historical items such as the O' Dea Mitre and Crozier. King John's Castle (Irish: Caisleán Luimnigh) is a 13th-century castle located on King's Island in Limerick, Ireland, next to the River Shannon. Although the site dates back to 922 when the Vikings lived on the Island, the castle itself was built on the orders of King John in 1200. One of the best preserved Norman castles in Europe, the walls, towers and fortifications remain today and are visitor attractions. The remains of a Viking settlement were uncovered during archaeological excavations at the site in 1900. Bunratty Castle is a large 15th-century tower house in County Clare, Ireland. It is located in the centre of Bunratty village (Irish: Bun Ráite), by the N18 road between Limerick and Ennis, near Shannon Town and its airport. The castle and the adjoining folk park are run by Shannon Heritage as tourist attractions. Rome2rio makes travelling from Oranmore to Limerick easy. Rome2rio is a door-to-door travel information and booking engine, helping you get to and from any location in the world. 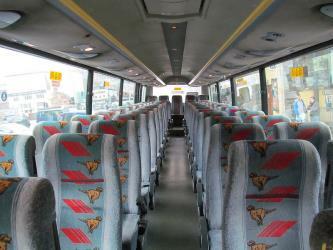 Find all the transport options for your trip from Oranmore to Limerick right here. Rome2rio displays up to date schedules, route maps, journey times and estimated fares from relevant transport operators, ensuring you can make an informed decision about which option will suit you best. Rome2rio also offers online bookings for selected operators, making reservations easy and straightforward.